That’s right the Great British Biscotti Co is back on the blog! To say I loved their first offerings would be an understatement. So after visiting their humble abode where the magic happens, they kindly gifted a box full of their new flavours to try. It’s taken a little while to get these up however better late than never! First up in the trio of reviews is Great British Biscotti Co Pecan Pie and Toffee Apple. The smell of the pecan pie was a sweet nutty heaven. Packed full of pecans it was certainly the wonder flavour here. Wondering where the pie comes into all this, it really is down to the flavour. It is not just a biscotti with a few chopped nuts in, oh no, the nuttiness is coupled with a sticky delectable syrupyness that has been taken that bit darker, to make these utterly moreish. Ahhh toffee apples, they were a thing of sugary beauty especially when covered in hundreds and thousands. This biscotti was again crunchy and delectable. They seemed to be thinner slices which was fine because the chewy apple was easily tasted and the hint of caramel flavour made it seem more indulgent. I can’t say it overly reminded me of a toffee apple, but was delicious nonetheless. 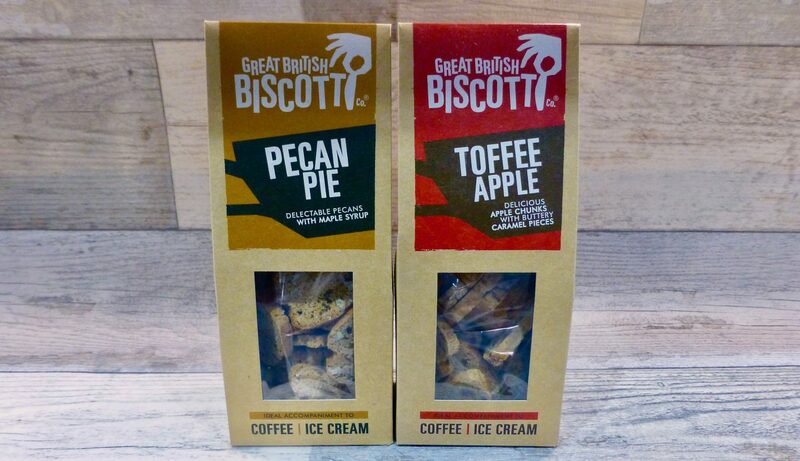 Well the Great British Biscotti Co Pecan Pie and Toffee Apple are a fine pair. Of the two Pecan Pie would be the winner purely because I prefer the nutty taste, and pecans are one of my favourite nuts. This biscotti also seemed more of a special flavour in comparison to its Toffee Apple partner. Whether you pair it with coffee, ice cream, hot chocolate or solo, you’re bound to enjoy them. 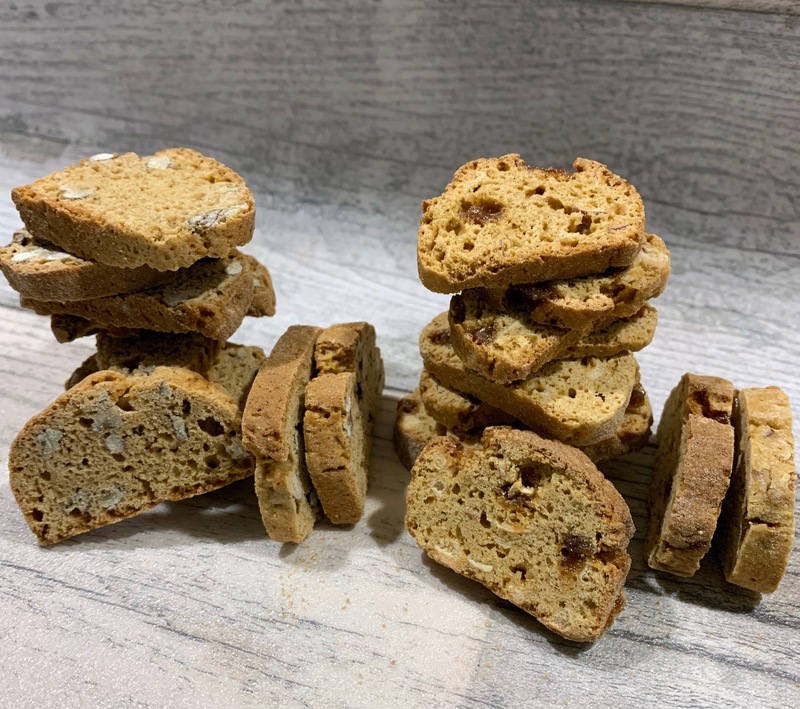 If you are wondering what their other flavours are then you can find my review of their sweet biscotti here and their savoury biscotti here. Which flavour are you desperate to try?